How to get a sports cars on rent in India? Most of the time we wait for a special moment to come when we can get a sports cars on rent and go out for fun. Mostly you opt for any other regular cars on rent for the regular task but you always wait for that special moment like a wedding or special clients meet or may just for the sake of show off to your friends and society. The system and the guidelines used to change time to time when it comes to a matter of renting a sports cars. There are very few companies in India which deal in a business like sports car renting, most of the time one used to share basis his or her car for some money or social importance. Before getting into the details like “How to get a sports or a car on rent?” or “What tips to take care before giving your sports car on rent? ” let’s just get some details on why you should prefer a sports car over the regular car when it comes to a matter like rent or an anything else. Sports cars are mostly coming up with 2 seats which mean they are mostly for couples and sometimes it gives you the privacy that you have been looking out for the drive whereas regular cars are mostly 5 seats where you can share with your friends and other family members. Now come the performance level of the cars, of course here also the winner is sports car as its performance level is very high but it consume lots of fuel or gas we can say to manage that power, whereas in the regular car you get better fuel efficiency so you can go a long mile for less money. There is lot more difference between sports cars and regular cars but let’s say for now just stick to the main points of this article that is about renting a sports cars. 1) How to get a sports cars on rent in India? Well, here in India you can get a sports cars only via register agencies as it is considered to be a luxury these days and you need to go through some legal documentation before hiring one. The rent for the sports car may vary from model to model but mostly its starts from Rs. 5,000 per hour ($90/hr) (Yes luxury don’t come for cheap) you can select from the models and register it before the date apart for this the agent might ask you a refundable deposit before you put your hands on the car. In case you have your connections with someone who is already having sports and can rent you than the task get much easier for you. There are many websites like www.zoomcar.com which help you in getting a sports cars for rent anywhere in India. The process is pretty simple and the rates are reasonable as well. There are many other sources who can help with a sports car like the local tours and travels, renting agencies and dealers, your own local connections and local hotels as well. If you are planning up for renting your sports car then there must be some guideline that you should go through as this can be of very much importance. Renting a sports car can always stand your out of the crowd as this consider to be a very much luxury that a very few people can afford. I would suggest you go via middleman or an agency as in such case most of a headache will be taken care off, but an additional point you can make your own terms and condition about renting your sports car as to take care of your asset. 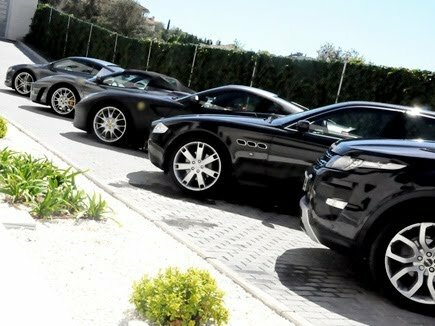 At the end, would like to say that it is always a better idea to have sports cars for rent as you can have the taste of the luxury at least for low rates which you cannot afford. There are some top-level sports cars that are already launched in India and many more to come. I hope you’ll keep in the above mention point when it comes to sports car renting and at the end I would like to request again to be safe on the roads.